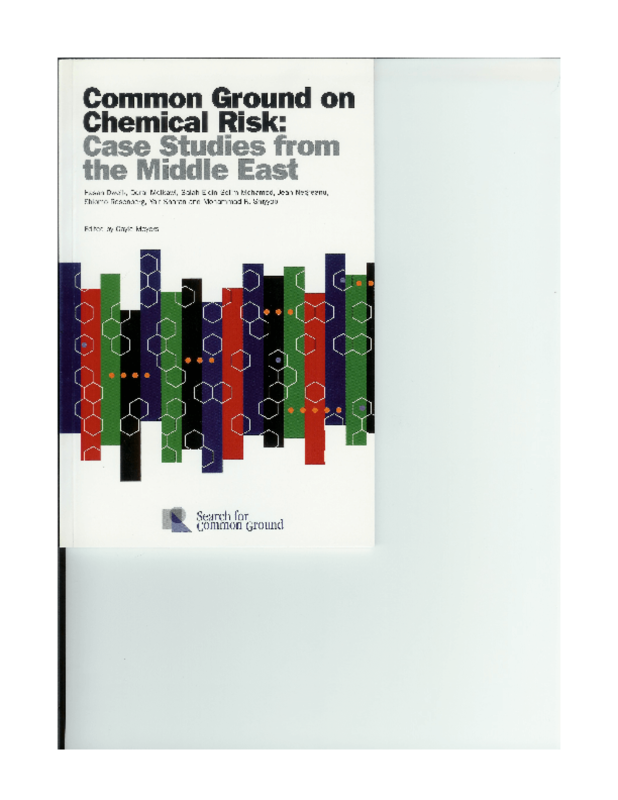 The case studies in this book were prepared by members of Search for Common Ground's Middle East Chemical Risks Consortium (CRC)-- a group of Egyptian, Israeli, Jordanian, and Palestinian research centers that agreed to reach across political lines and cooperate to address the problem of chemical risks. Each research center partcipating in the CRC chose a recent case of a local accident involving toxic chemicals. The cases highlight legal, technical, operational, and human factors contributing to the accident and draw lessons applicable in any country. Unlike the notorious 1984 Bhopal chemical factory accident in India, these incidents received relatively little media coverage and almost no publicly available analysis. Copyright 2004 Search For Common Ground. All Rights Reserved.